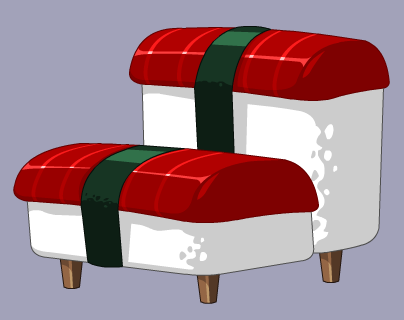 Description: A beautifully hand-designed recliner crafted from the finest raw tuna. Bits of chopsticks keep this chair off the floor… and out of soy sauce puddles. Thanks to Death on Toast and Flitterifie.